Early this summer, 2016, National Wiper Alliance President Jeff Slosman accepted the fourth award within a year on the behalf of his company. Presented by the Wake Forest Center for Private Business at the Annual Family Business of the Year awards, Slosman representing his National Wiper Alliance team was presented with the NC Family Business of the Year award in the large business category. “Recognition as the Family Business of the Year affirms our commitment to the family values that have been a part of the foundation of the business from the beginning”, Slosman responded when asked about receiving the award. The award acknowledges family-owned companies, their accomplishments and their commitment to community. In addition to judging company’s success, it also takes into account their innovative strategies along with practices instrumental in their growth and development. This award comes following National Wiper Alliance’s most recent achievement of being recognized as Business NC Magazine’s Small Business of the Year, December, 2015. Also in 2015, Slosman accepted an invitation to visit the White House resulting from his commendation as SBA’s NC Small Business Person of the Year. National Wiper Alliance also received honorable mention as NC Chamber of Commerce Manufacturer of the Year in 2015. The Family Business of the Year award was given by the Wake Forest Center for Private Business, an organization that was established in 1999 by Dr. Stan Mandel and headquartered in Wake Forest, NC. 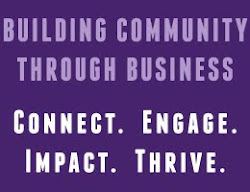 Their mission statement reads, “The Center for Private Business enables privately owned businesses to achieve dreams for their business, family, employees, community and stakeholders by providing access to industry leaders, resources, networks and education.” WFCPB was recently able to expand and increase its staff and resources to better enable them to aid in the growth of the businesses associated with them. 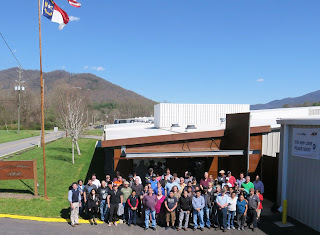 National Wiper Alliance, located in Swannanoa, North Carolina, is a premier dry wipe converter in the nonwoven industry, National Wiper Alliance is registered to ISO 9001:2008 standards.